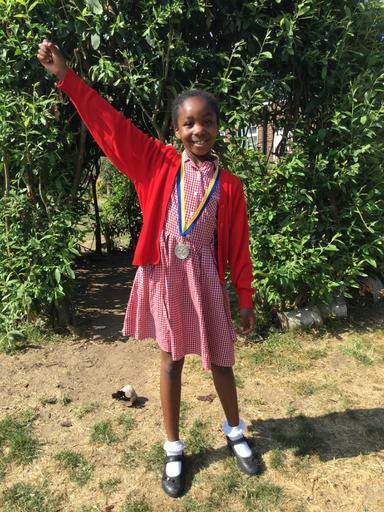 Congratulations to Gloria A who performed amazingly at Quad Kids Athletics tournament on 28th June. Out of 92 children she came overall 2nd and took home the Silver Medal. Well done Gloria - what an achievement!